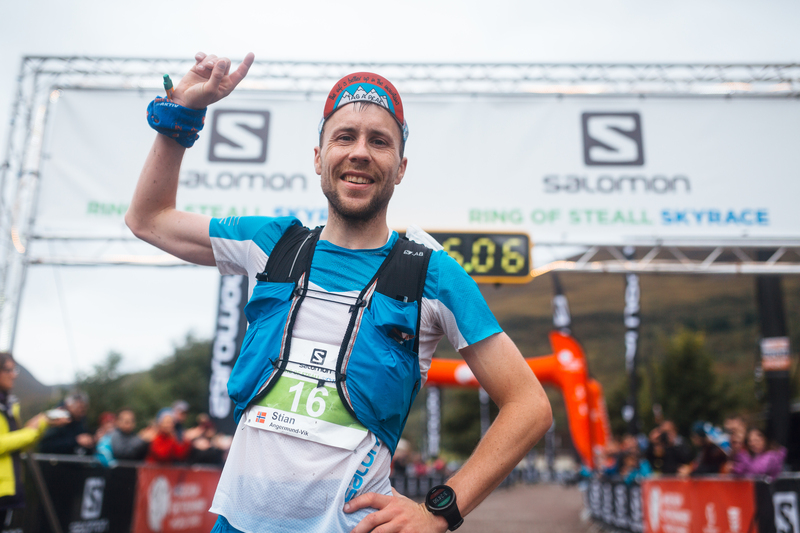 The Saturday of the Skyline Scotland weekend, yet again, two course records fall, this time on the Ring of Steall Skyrace. Stian Angermund-Vik (Team Salomon, Norway) took almost a minute off his 2016 time. Team mate Laura Orgué (Spain) ran 4:05, 34mins off Georgia Tindley’s 2016 time. Both won & broke records on the men’s & ladies Salomon Mamores VK race yesterday. The Salomon Ring of Steall Skyrace is part of the Salomon Skyline Scotland event 15-17 Sept, from Kinlochleven. The route goes over four high Scottish mountains including a scramble across the exposed, knife-edge Devil’s Ridge.